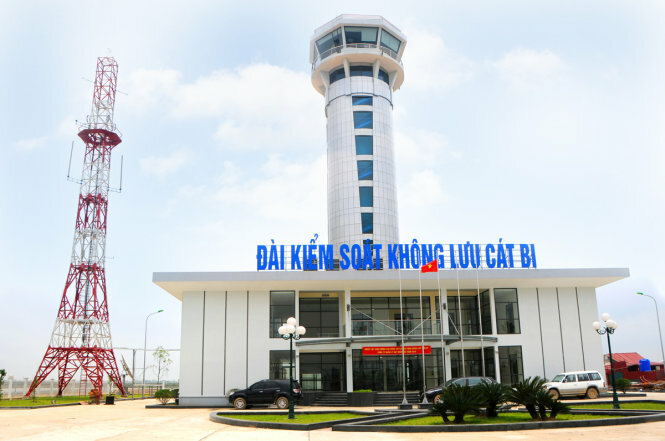 The air traffic control tower is seen at Cat Bi Airport in Hai Phong, northern Vietnam. Two flights were unable to contact air traffic controllers at an airport in northern Vietnam earlier this month after it was discovered that the first command was asleep and his assistant was absent, the country’s aviation watchdog confirmed on Tuesday. The incident involving two separate Vietjet flights occurred at Cat Bi Airport in Hai Phong City on March 9, with the Civil Aviation Authority of Vietnam completing its investigation into the case earlier this week. According to the CAAV, the captain of Vietjet flight VJ921 bound for Seoul tried to contact the Cat Bi air traffic controllers 29 times but they never replied. The flight was expected to depart at 11:45 pm, however the captain could not reach the control center between 10:51 pm and 11:24 pm. One air traffic controller eventually responded to the VJ 921 by 11:24 pm, meaning the flight took off at 11:58 pm, 13 minutes later than scheduled. On the same night, another Vietjet flight, VJ 292, was scheduled to land in Hai Phong from Ho Chi Minh City at 11:30 pm, but was also unable to reach the air traffic controllers after ten attempts between 11:14 pm and 11:38 pm. This meant the controllers kept the VJ 292 captain waiting for 23 minutes before answering the call at 11:39 pm. The flight eventually landed at 11:54 pm, 24 minutes behind schedule. In a report submitted to the CAAV, Vietnam’s Northern Airports Authority said the equipment at the Cat Bi air traffic control center was in normal working order at the time of incident, and that the loss of contact was caused by human error. Investigations revealed that on the night of March 9, three staff, including two air traffic controllers – the chief official and his assistant – plus one technician were on duty at Cat Bi. However, the assistant controller was absent from 9:40 pm to 5:40 am the following day, and his first command was asleep between 9:40 pm and 11:15 pm, according to the report. On Wednesday, the CAAV said the two controllers had been fined VND7.5 million (US$335) each and had their working license suspended for two months. The head of the Cat Bi air traffic control center has also been suspended and replaced by an experienced official from Hanoi. Two other air traffic controllers have been transferred to work at Cat Bi in place of the offending staff. The CAAV added that it is conducting a comprehensive inspection of the operations of the Cat Bi air traffic control center.